We integrate with Microsoft OneDrive for file sharing. 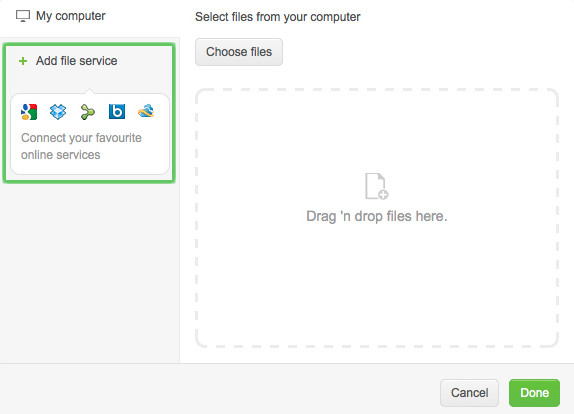 Setting up the OneDrive integration: Click to attach a file to something in Podio. Either the paperclip for statuses, the Attach file button on tasks or the Add files button on app items. Then you'll see the dialogue below. Click the Add file service button. Select OneDrive in the list, sign in with your Microsoft account and you're ready to start linking to OneDrive files from Podio.